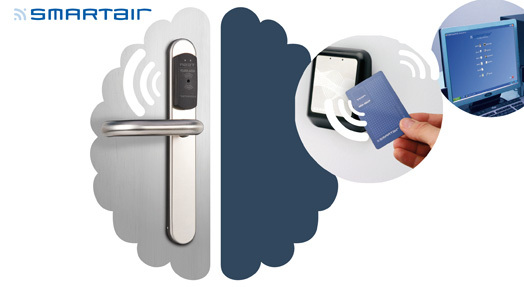 The electronic access control allow you to register and delete users, create new master key system groups, control of opening times, time and presence control, incorporation of new doors to the system and many other features provide a new concept to the word flexibility. Not all access control systems are the same. Rely on the best. Technology is making the world change quickly and steadily, and the security market is also affected by these changes. Juanjo Cerrajeros Alicante, in our constant evolution towards the new era, we decided to bet for incorporating the electronic technology to our customers’ current systems. One of the peculiarities of this globalization in which we live is that electronic technology is available for almost everyone and the entry barriers for the production of electronic systems is really low, compared to traditional mechanical systems. Two people in a garage can develop an electronic system with specific knowledge, but are they reliable? 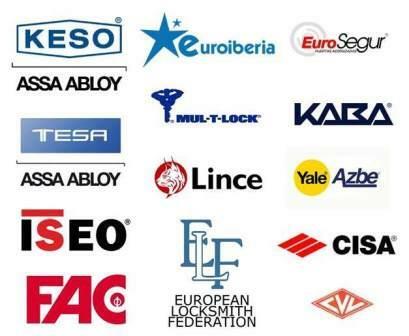 In Juanjo Cerrajeros Alicante we only work with the most important brands of the market like TESA, KESO, and so on, in order to ensure safety, durability and maintenance of our facilities. Nowadays the price of this type of technology is becoming more affordable and facilities, which in another time would not be viable because of their cost, today are viable, increasing the electronic system installations. Electronic or electromechanical (combination of mechanical cylinders with electronic systems) systems have a characteristic that makes them attractive: Flexibility. Keys can be readjusted so that access permissions previously denied for a user can now enable the entry, or vice versa, depending on the installation needs. In case of losing the keys, these can be canceled, making the installation safe again with a simple adjustment, or directly by updaters or by visiting the installation or even without visiting it, depending if the chosen system is Online or Offline. Company with Operators: If you have a company with operators, you have an additional service of time and presence control of your employees, with which you can control productivity. Condominiums: You can control access to sensitive areas such as gyms or jacuzzi, avoiding theft and vandalism of neighbors. You can also control access to sports tracks, obtaining usage reports that you can even use to generate the corresponding usage charges to neighbours. Homes: Put a schedule and calendar of use for your home employees, or if you rent the house, you can authorize access to each new lodger comfortably without worrying about whether they lose their keys or any other access item or not. Growing or in Evolution Companies. If your departments do not always have a standard size due to staff fluctuations or varying department sizes according to needs or extensions to additional buildings and so on, Juanjo Cerrajeros Alicante can install an electronic access control according to these changes, with the flexibility that you need. Multi Headquarter Businesses or Companies. There is staff from each headquarters or store, liaison staff, managers, extensions of headquarters and so on. In this type of business you will be able to control the schedules of the personnel, register or delete users easily and extend the system in a limitless way. You can also close or open doors at a specific time or from a remote control station located hundreds of kilometers away from it. Bienvenido a un nuevo mundo sin fronteras.